Participants of #OnTheMove programme are preparing for their annual games and demonstrations with great enthusiasm. 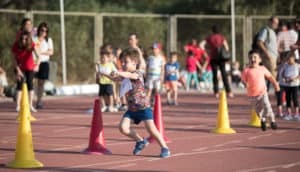 The End-of-Year sports show, organised by SportMalta and sponsored by Kellogg’s, will be held on Friday 25th May 2018 from 6.00pm to 8.00pm at Marsa Sports Complex. All participants, their parents and friends are invited to attend the sports manifestation. Entrance is free of charge. The young participants from the Fundamental classes will play mini games in the main ground. 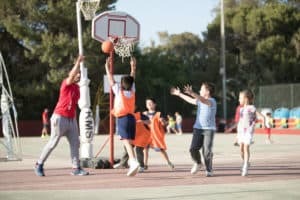 The elder groups will engage in tournaments and displays, such as basketball, football, baseball, volleyball, handball, athletics, gymnastics and BMX. Parents can join in one of the various fitness sessions such as Line Dancing, Yoga and Circuit Training. For the past 18 years, Kellogg’s, the world’s leading producer of breakfast cereals, has been sponsoring the #OnTheMove programme and the End of Year sports manifestation. Kellogg’s continues to help consumers make healthier choices while providing tasty cereals for all the family to enjoy. 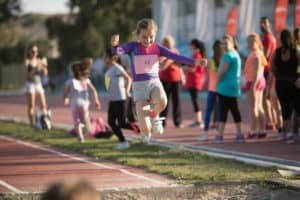 This long-term investment with SportMalta has been Kellogg’s commitment to emphasise more awareness on the importance of a healthy lifestyle through physical activity and a balanced diet among the Maltese community. Participants, parents and friends attending the activity will have a chance to win one of the three prizes offered by Kellogg’s. The prizes include a mountain bike and two blue-tooth speakers.